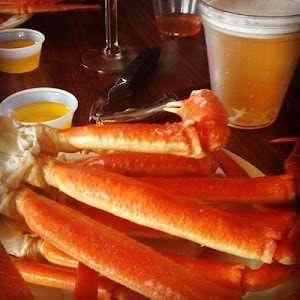 Looking for a dinner cruise in Gulf Shores or Orange Beach? We do not serve dinner on board the boat, but we offer something even better. Plan your dinner at your choice of LuLu's or Tacky Jack's marina-side restaurants in Gulf Shores and then let us take you and your family on a private 90-minute cruise you'll never forget, complete with a gorgeous sunset, dolphins up-close, and a relaxing, care-free ride in our comfortable boat. We'll return you to your restaurant to enjoy your delicious meal. We have seating for up to 12 - and it will just be your family. Gulf Shores Boat Rental conducts private sunset cruises, dolphin cruises, and other types of cruises daily throughout the summer. Contact us today to discuss your dates and to make a reservation! Please note no food is served on board the boat - and the price for your cruise does not include the cost of your dinner at the restaurant. We also offer: Sunset cruises in Gulf Shores; cocktail cruises in Orange Beach; picnic cruises in Gulf Shores; dinner cruises in Gulf Shores and Orange Beach; tubing trips in Gulf Shores; and pontoon boat rentals in Orange Beach. 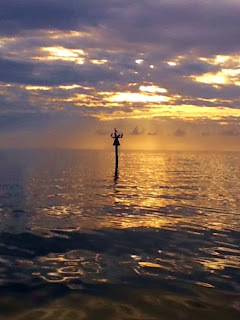 a dinner cruise with Gulf Shores Dinner Cruises. We're happy to be back on the water sharing the gorgeous Gulf Shores and Orange Beach outdoors with families and groups from all over the south east. The Alabama coast is one the most beautiful places to visit, with white sand, clean water, dolphin sightings galore, and sunny skies. Gulf Shores and Orange Beach are also among the most affordable beachs - with hot deals and delicious fresh seafood restaurants. Try a private dinner cruise, sunset cruise, island picnic cruise, booze cruise or sightseeing cruise while on your vacation. You'll see beautiful scenery and abundant wildlife, including dolphins. Call Gulf Shores Dinner Cruise today to reserve your private cruise adventure or stand up paddle board! We also offer: Sunset cruises; cocktail cruises; sailboat cruises; dinner cruises; paddle board rental; kayak rentals; and pontoon boat rentals in Orange Beach. Looking for something to do for Mother's Day in Gulf Shores? Treat Mom to a memory that lasts a lifetime with a private family Mother's Day sunset cruise! We depart from LuLu's Homeport Marina most evenings of the 2017 season and our very popular private sunset cruise gives you the opportunity to relax, enjoy the scenery, watch playful dolphins and take in a beautiful sunset over the water. We'll take family pictures for you, too. Limited spots are available Mother's Day weekend, so make your reservation TODAY! 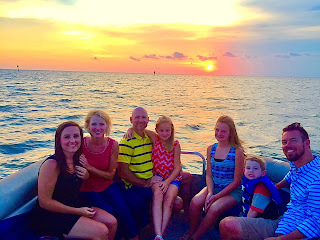 Fun Things to Do in Gulf Shores and Orange Beach: Private Dinner Cruise! Are you looking for fun things to do in Gulf Shores and Orange Beach? A private dinner cruise is an experience your family or group will never forget. You'll depart in the early evening and cruise the tranquil waters of the Intracoastal Waterway for around an hour before docking at your choice of several excellent restaurants. Along the way, you'll see beautiful scenery, and abundant wildlife including (very often) dolphins playing nearby the boat. Afterwards, we'll transport you safely back to your point of origin to enjoy your delicious dinner. Accommodating families or groups of up to 12 people, our affordable cruises include a friendly, experienced captain so you can sit back, relax, and enjoy your cruise without worrying about getting lost, running out of fuel, or damaging the boat while docking. Our new 26' South Bay is very comfortable, stable, and includes a convenient restroom on board. Contact us to reserve your private dinner cruise today! We also offer: Sunset cruises in Gulf Shores; cocktail cruises in Orange Beach; picnic cruises in Gulf Shores; dinner cruises in Orange Beach; wakeboarding and tubing trips in Gulf Shores; and pontoon boat rentals in Orange Beach. What better way to arrive at the Gulf Coast's best seafood restaurants than by boat? Accommodating groups of up to 12, our dinner cruises depart from either Gulf Shores or Orange Beach and cruise along the tranquil Intracoastal Waterway where you'll see beautiful natural surroundings and abundant wildlife including dolphins, Great Blue Herons, and a variety of other coastal birds. After your cruise, you'll have your choice of a variety of delicious restaurants at which to dock for the best seafood, steaks and more. We'll transport you there, with millions of stars overhead, to enjoy your meal. A private Gulf Shores dinner cruise offers families an adventure they'll remember, and some of the Gulf Coast's very best seafood, steaks, and more. Departing from Gulf Shores or Orange Beach, Gulf Shores Dinner Cruises accommodate couples or groups of up to 12. We'll pick you up at your choice of several excellent marina restaurants in Gulf Shores or Orange Beach (we'll help you choose one if you like). Then, we'll take you on a 90-minute private cruise down the tranquil Intracostal Waterway, seeing wildlife including the Great Blue Heron and dolphins, before ending up at your choice of several excellent restaurants. Our new 26' South Bay provides an extremely comfortable, stable ride and even has a restroom on board. Photography packages are also available. 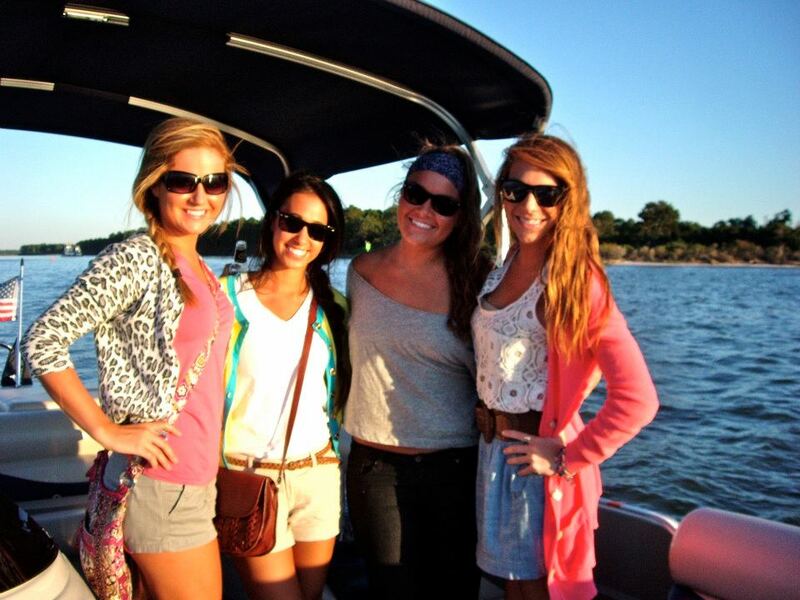 Contact us to reserve your Gulf Shores Dinner Cruise today! We also offer: Sunset cruises in Orange Beach; cocktail cruises in GulfShores; picnic cruises in Orange Beach; dinner cruises in GulfShores; wakeboarding and tubing trips in Orange Beach; and pontoon boat rentals in Gulf Shores. Like Us on Facebook for Deals! Contact Us to Reserve Your Cruise! Pontoon boat rentals in Gulf Shores, Orange Beach, AL. 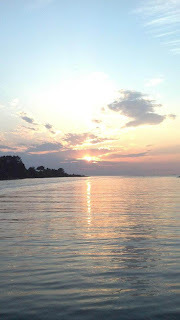 Enjoy a private sunset cruise or couple's cruise with Gulf Shores Boat and Paddlesports Rental, Gulf Shores, AL 36542. Phone: (251) 923-8205. Our 26' South Bay seats groups up to 12. Online Marketing expertise including social media marketing, SEO, SEM, Display Advertising and Creative Content services provided by Watchdog Online Marketing. (c) 2013, 2014, 2015, 2016, 2017 Gulf Shores Boat and Paddlesports Rental. Travel theme. Powered by Blogger.